Representatives from the Occupational Health and Safety Administration recently announced the top 10 workplace safety violations for 2017. The agency personnel publicized the information during the National Safety Council Congress and Expo, as has become custom. Patrick Kapust, deputy director for the OSHA Directorate of Enforcement Programs, led the announcement and offered some historical context to the new data set, Safety and Health Magazine reported. "One thing I've said before in the past on this is, this list doesn't change too much from year to year," Kapust explained. "These things are readily fixable. I encourage folks to use this list and look at your own workplace." Indeed, this most recent list of violations resembles the one released in 2016, indicating that organizations could do more to improve workplace safety programs. That said, evaluating the OSHA top 10 is a valuable exercise for Environmental Health and Safety stakeholders as they develop build their budgets for the forthcoming year. Read on for the most commonly cited workplace safety violations for 2017. For the third consecutive year, fall protection took the top spot with just over 6,000 citations. However, the overall total has dropped significantly since 2015, when OSHA distributed more than 7,400 fall protection citations, according to Safety and Health Magazine. On the surface, posting simple signage would seem like an easy-to-execute EHS task. Unfortunately, this is not true for many businesses, as OSHA continues to encounter large numbers of hazard communication violations. That said, the total number fell by roughly 1,500 year over year, indicating that more enterprises are taking action in this area. This violation remained in the third position. The construction industry is the biggest user of scaffolding, as an estimated 65 percent of workers in the space employ it consistently, according to OSHA. OSHA distributed more than 3,500 citations related to instances of respiratory protection noncompliance in 2016. That figure fell considerably this past year, despite the violation retaining the fourth spot. Occurrences of this violation fell significantly in 2017 after experiencing a small increase between 2015 and 2016. These violations moved up one position from last year. However, the overall number of citations dropped. Citations related to this hazard fell from 2,855 in 2016, pushing this violation down in the list. OSHA maintains strict machine guarding regulations for industrial firms with heavy machinery. In 2016, the agency issued roughly 2,400 citations to businesses in violation of these standards. This violation did not appear on the list in 2016 or 2015, which is troubling considering that training is the perhaps the most effective workplace safety tool. This particular violation dropped a spot in 2017, and its close cousin, electrical - general requirements, fell of the list entirely. Overall citation numbers declined once again in 2017, meaning many firms are working hard to address outstanding hazards and keep workers safe. However, these businesses can do more, as made evident by the above figures. NSC President Deborah A.P. Hersman drove home this point in an organizational press release covering the release of the list. "The OSHA Top 10 is more than just a list, it is a blueprint for keeping workers safe," Hersman said. "When we all work together to address hazards, we can do the best job possible to ensure employees go home safely each day." 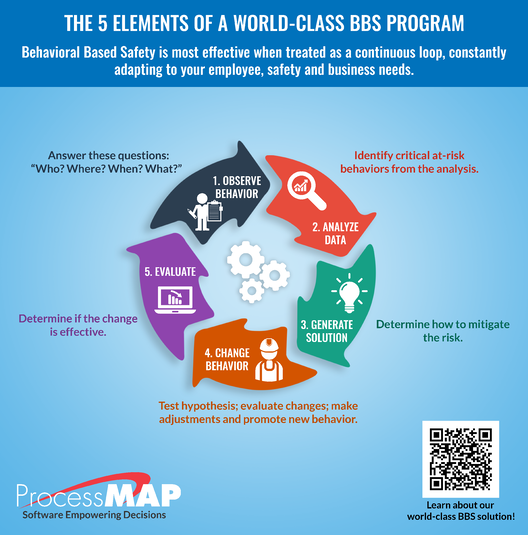 Organizations striving to better address workplace risks should consider looking into ProcessMAP's health and safety software. Our solutions suite has helped organizations streamline their safety activities and citations issues within an intuitive, user-friendly platform. The ability to aggregate and access health and safety data is a crucial aspect of developing an effective and compliant safety standard in the workplace. Connect with us today to learn more about how we can transform your EHS operations.